It’s a wonderful thing when parents see past art classes as lofty pastimes and recognise their intrinsic value. 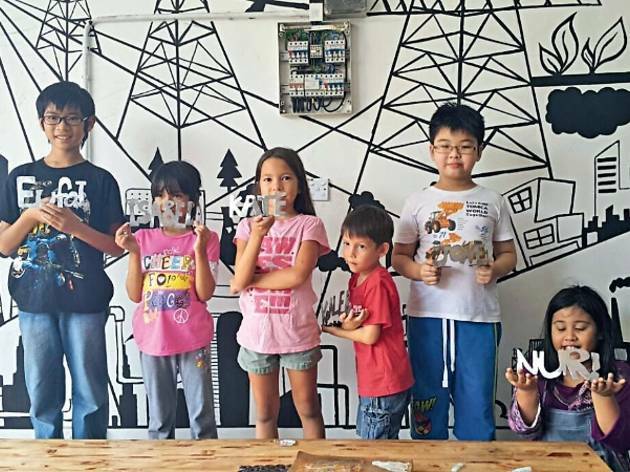 We poked around these artist studios and ateliers to discover KL’s state-of-the-art kids’ classes. Tightening the strings on his apron, an eight-year-old focuses on the colourful canvas before him, planning his next step not unlike a chess player. Around him, other young, aspiring artists are equally engrossed in their works. 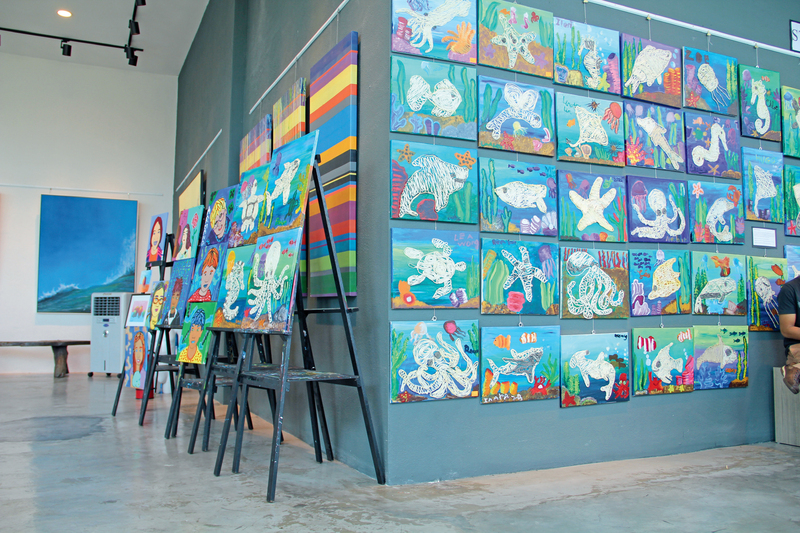 Airy and flooded with natural sunlight, The Studio at KL is one of few local art studios equipped with canvases and easels. The opportunity to work like a professional gives the students a sense of pride. 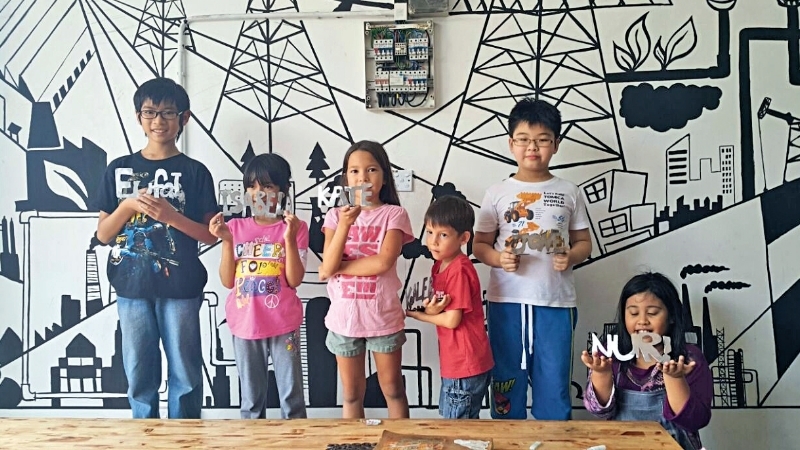 ‘We try to raise the kids’ self-esteem through painting’ says Jonny Ishaque, Director of The Studio at KL. Creativity is given free reign and no child is admonished for colouring outside the lines. ‘We implement quite the opposite of join-the-dots or colour-by-numbers,’ continues her husband. 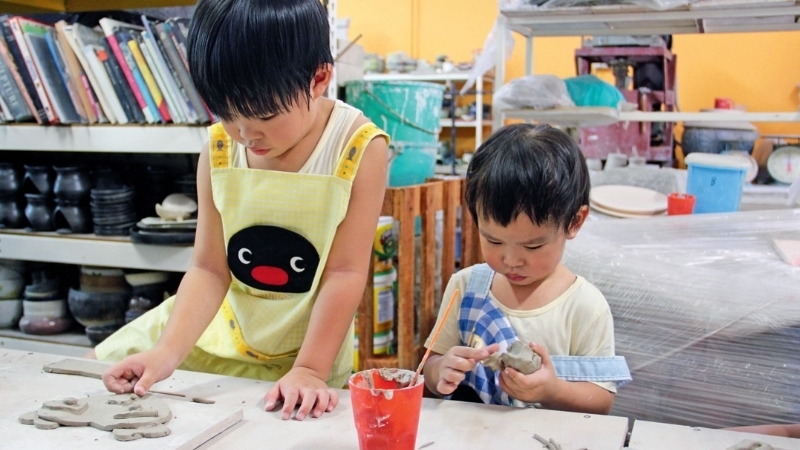 The Studio at KL’s syllabus teaches its students to express themselves in myriad art styles. Each three- to four-week-long project comes with important lessons on art theory, like the storytelling element behind aboriginal art or the history of French Post-Impressionism when creating Vincent Van Gogh-inspired paintings of sunflowers and starry skies. 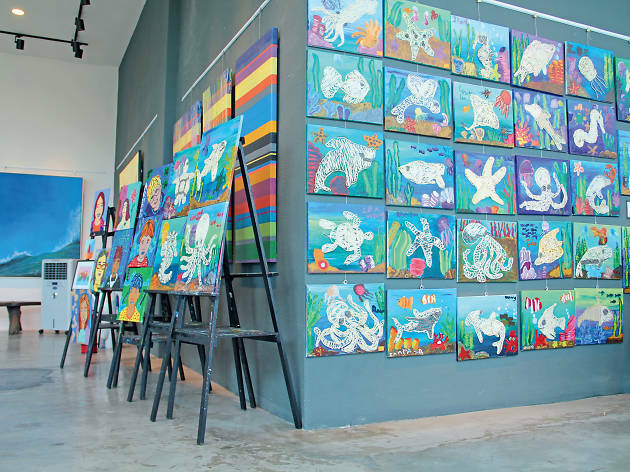 An important event on the studio’s calendar is its annual art exhibition, a jovial celebration where friends, family and members of the public may view the students’ works at the studio’s gallery in Nexus Bangsar. The Budding Artist Class is for six- to seven-year-olds while the Young Artists Class is for eight- to 14-year-olds. All first-timers are entitled to a free trial lesson. Cindy Koh, founder of Clay Expression, bids me a happy hello and extends her hand before remembering that they are caked with clay. She isn’t the only one up to her elbows in slurry. A few feet away, I spot a kids’ workshop that is already well underway. Class-takers take on fresh new projects each month. Past projects include ice cream bowls and a cute teddy-bear shaped plaque which the children created and then took home. July’s class saw the kids making a lamp, while in August, they made a puzzle of the Malaysian flag. Taking place every fourth Saturday of the month at 11am, the children’s classes are open to budding artists as young as two years old. Parental supervision is required of class-takers aged five and below. To reserve a spot, call Cindy Koh. It’s not often that kids get to participate in a master class, and rarer still when the instructor is a renowned artist. Many a steel sculpture in Malaysia has Nizam Abdullah’s fingerprints all over it. Art enthusiasts might recognise his workmanship in venues such as Heli Bar and Publika or at events such as the annual George Town Festival in Penang. But If you’re unfamiliar with the artisan’s craftsmanship, simply swing by his studio in Shah Alam. Being surrounded by Nizam’s work sets an inspiring tone for his kids’ metalsmithing classes. Gigantic pink doves, Salvador Dalí-esque figurines and geometrical furniture strewn about the studio serve as extraordinary examples of what deft hands and a creative mind can create. Having kicked off in February 2015, Nizam’s kids’ classes involve more theory than practical work. 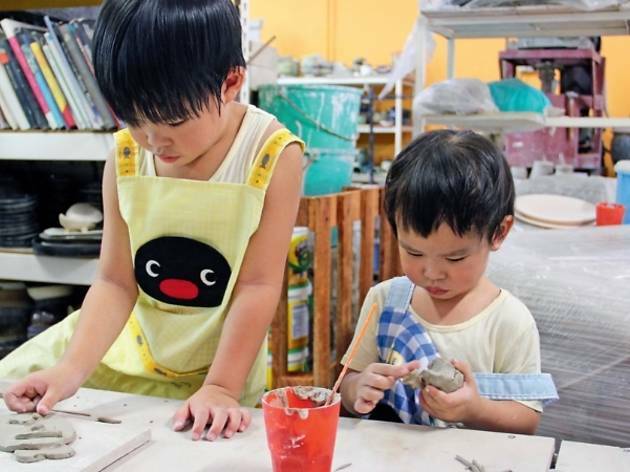 Besides discovering different kinds of metals and their pliability, students will get a firsthand look at metalsmithing machinery and take home their own personalised souvenirs. All hazardous steps are carried out by Nizam and his assistants while the kids learn by observation. Safety comes first at the studio: Students are requested to don jeans and covered shoes, while goggles and ear muffs are handed out during the plasma cutting, welding and grinding processes. Nizam Sculpture Studio’s Metalsmithing class is recommended for seven- to 14-year-olds and can be reserved for parties of five to ten kids. After having to tiptoe through the organised chaos of the other art studios, Jewelz’s comfortable, air-conditioned atelier feels somewhat lavish in comparison. Row upon row of pretty trinkets line the walls, and jars full of beads and spools of wire sit on the shelves. Two women chat in hushed tones while working on their project, while a little girl picks out the beads she wants for a bracelet. 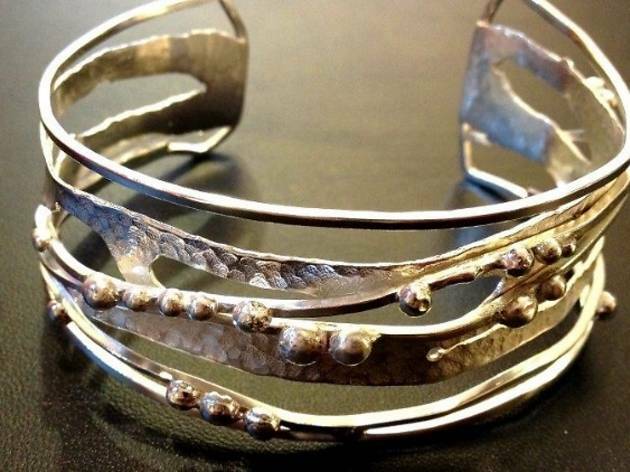 Jewelz, a handmade jewellery boutique and studio, has called Plaza Damas home since 2008. Founder Derek Tan, whose polished demeanour matches his appearance, stumbled on jewellerymaking by blissful coincidence some 14 years ago through a friend’s recommendation. ‘There is more to jewellery-making than stringing beads together,’ insists Derek. Class-takers pick up colour coordination while designing their own pieces. Working with minute materials also helps breed a child’s patience and sharpens his or her concentration. Recommended for older kids and teenagers with nimble fingers and an eye for detail, Jewelz’s introductory jewellery-making course comprises eight modules, during which students will master the three-strand necklace, floating necklace, bracelets, head pin looping project, V-neck necklace and fireball earrings in said order. The retail store opens from Monday to Saturday, 10am to 5pm. Reservations are necessary for the eight-module courses and standalone workshops.